Conde Nast Traveller, is a Spanish travel magazine has written several articles about Albania in the recent years, and on this lately article it promotes Albania; calling it the New Croatia and the new Mediterranean paradise. Imagine the Mediterranean. What comes to mind? Winding coasts, dotted with cliffs and coves. The eternal skies and azure beaches. Try to name it Costa Brava, Costa Azul and Amalfi Coast will be the first that comes to your mind ... 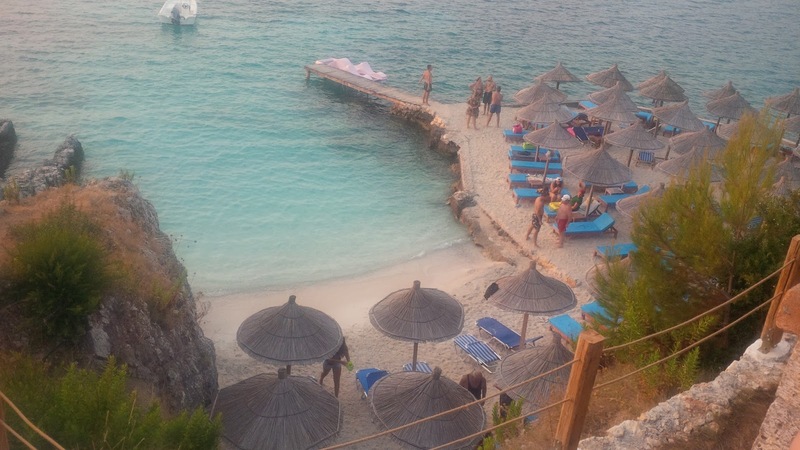 But you can add a new one to the list, which is going strong: the Albanian Riviera. Albania, until now one of the most unknown countries in Europe, finally opens its arms to travelers, and it does not need more arguments than those it has at the bottom. Paradisiacal beaches (and some almost deserted). Archaeological treasures makes you feel of having discovered one of the best kept secrets on the other side of the Mediterranean. Conde Nast Traveller lists the best beaches to visit in Albania, from Vlora to Saranda you will get surprised by the beaches such as: Plazhi i Ri, Himara, Qeparo and Ksamil. Vlorë, a hodgepodge of activity and tree-lined walks, comes with great historical weight: Albania's independence from the Ottoman Empire was declared here in 1912. Since then, it has grown to become a center of important port activity, in which the ramshackle charm urban gives way to the first beaches of the Riviera, which better than the previous. Following the coast in a southerly direction, the next stop is the very peaceful town of Himarë , divided between modern resorts and traditional Greek taverns . Are you looking for a more solitary and less crowded experience? Go to Qeparo , a picturesque village clinging to two cliffs and overlooking the Mediterranean scene par excellence, the one you have in your head: the golden cove, the turquoise sea, the eternal sky. 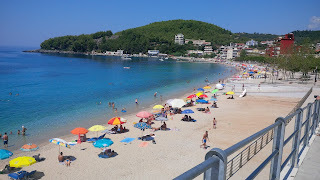 Getting to Sarandë, the nerve center of the Riviera and a destination that is gaining popularity in strides in the Balkans, is starting to have very vivid flashbacks of Levante. Sarandë, despite remaining modest in size and population, is experiencing a period of high growth, and skeletons of future apartment buildings are rising on both sides, pointing to an (expected) important boom in visitor numbers. But for now (and luckily), Sarandë remains a pleasant option as a base to explore the nearby beaches when you have exhausted the ones on the street. Among them, Ksamil takes the trophy to the best, not only in the area, but possibly the entire Riviera. This tiny archipelago, 20 kilometers south of Sarandë, has three dream islands with white sand beaches that you can almost swim between. Come and discover the new Mediterranean paradise. Or do you need more reasons? See here the original article in Spanish!